Whether you seek respite from the scorching sun or value your privacy, RV window covers may be a worthwhile investment to add onto your home-away-from-home. 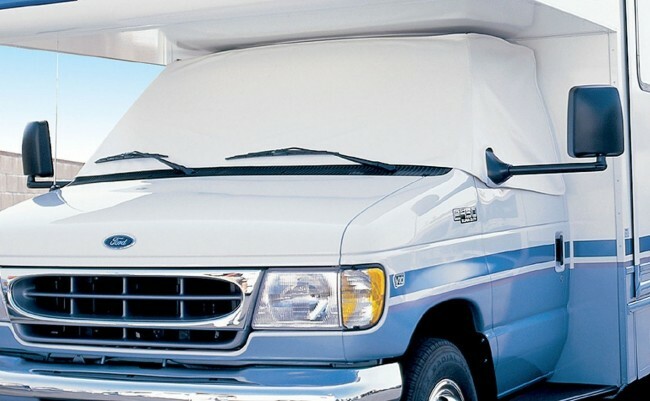 There’s no shortage of available options for RV owners looking for coverings to protect themselves and their vehicles from the harsh UV rays streaming through the windshield. The uses for RV window coverings are more numerous than their straightforward nature might suggest. They block out the bright sun, whether you’re sleeping in, or just watching a movie. 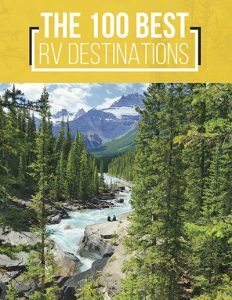 Their generally reflective surfaces help keep temperatures down when RVs are parked in a particularly warm climate. Like RV covers, they protect against UV rays, rust, dirt and other factors that may damage an RV, but with a much smaller surface area and much easier installation process. 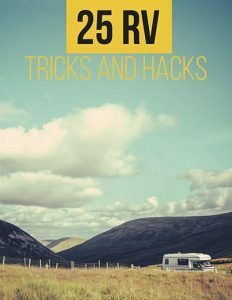 In addition, some owners may simply feel better about leaving their RV unattended with a windshield covering to deter potential thieves. There are at least two different types of window coverings, so buyers will have to consider which one suits their needs. 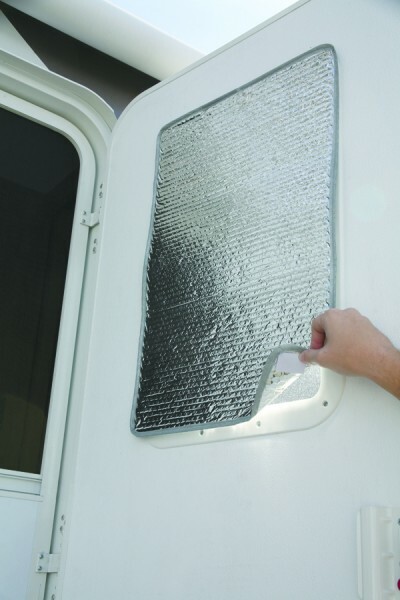 First, door window covers are used to block the window on an RV’s main entrance door. Simpler and smaller, and therefore cheaper, than larger varieties of RV window covers, door window covers are usually reflective rectangular sheets including hooks and latches to be attached to the inside of the window. Retailers generally offer this straightforward product for less than $15. The primary type of RV window coverings are windshield covers, which wrap around the outside or inside of a car’s windshield to include the driver- and passenger-side window as well. There are far more variations and features to consider before buying this type of window cover. The most common fabric used is vinyl. Two products might both use vinyl, but there may be a difference in how heavy-duty the fabric is, and thus how durable it is during inclement weather. 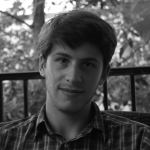 First and foremost among these considerations is model of the RV. Various windshield covers are designed to fit certain makes and model. When shopping around, check the product descriptions or packaging to see if a product accommodates your specific RV. The best fits will take rearview mirrors into consideration, so consumers should check that window covers have loops or openings or cutout areas to accommodate certain mirrors. While some covers have fabric to wrap around such mirrors, they tend to be less effective in cases of extreme winds by creating added resistance that could cause tears in the fabric. There are many generic window covers on sale through retailers and websites, as well as companies specializing exclusively in RV window shades and coverings who may be more accommodating for unusually-sized models. How the coverings attach may be important for many consumers. Nowadays, most varieties install simply using suction cups, magnetic attachments or straps, with no drilling or any other sort of complicated installation process necessary. Though some may worry about exterior windshield covers being stolen, most come with straps or anti-theft tabs that attach inside the vehicle to ensure their safety. Some covers also include pouches to allow for storage. If these features are important to you, don’t assume — ask someone or research the product to see if they’re included. Several major RV accessories brands, including ADCO and Classic Accessories, as well as many smaller ones offer a variety of window coverings to fit almost every RV imaginable. If you’re having trouble finding a window covering that suits your RV, you can check with the RV’s manufacturer to see if they offer their own options or recommend any other brands. Prices for RV window coverings generally begin around $40 for mini motorhomes and increase in cost depending on the size of an RV and the durability of the material. If you’ll use the coverings often enough for your RV, whatever the reason, the price is likely worth the increased protection afforded by a solid vinyl window covering.